In current era, world is dependent on fossil fuels such as oil coal, natural gas, etc. Demand for the fossil fuels increase day by day due to increase in urbanization and industrialization. Excessive use of fossil fuels results in environment pollution especially in terms of generation of greenhouse gases. Natural sources of energy like wind, water, sun, biomass and geothermal heat can be utilized for fossil fuel production, and petroleum-based foods can be replaced by biomass-based fuels as bioethanol, biodiesel, biohydrogen, etc. Biodiesel production from food crops is no more an attractive option due to food versus fuel issue. Utilization of lignocellulosic waste from agriculture serves as better alternative looking to its lower cost, renewability and abundance. Lignocellulosic waste includes grasses, sawdust, wood chips, etc. Rice straw, wheat straw, corn straw and sugarcane bagasse are the major agricultural wastes. 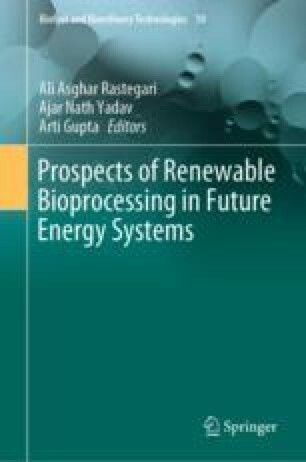 This chapter aims to present a brief overview of the available and accessible technologies for bioethanol production using these major lignocellulosic agro-waste.